The chorus will be performing in concert on Saturday the 30th of March at Holy Trinity Church, The Avenue, Washington Village, NE38 7LE. The concert is to raise funds towards the upkeep of the church and special guests for the evening will be Tyneside A Cappella. The concert starts at 7.30pm. A great start to the concert year with a concert to a packed house with superb singing by the chorus, Tyneside A Cappella and South Side. I felt I must drop you a line to thank you for the most entertaining concert last night. The programme was well judged for the audience and slickly presented whilst maintaining a very relaxed atmosphere. Please pass on my best wishes to all concerned. Compass will be presenting a concert in Talbot Road Methodist Church on Talbot Road, South Shields, NE34 0GL. The concert will commence at 7.30pm and special guests for the evening will be Tyneside A Cappella. The chorus will be in concert at High Southwick Methodist Church, Thompson Road, Sunderland, SR5 2JJ. The concert will start at 7.30pm and special guests for the evening will be Enigma. Compass will be providing the entertainment at an Inner Wheel Presidents night at the Grand Hotel (formerly The Marriott), Queens Parade, Sunderland, SR6 8DB. This is a pivate event. 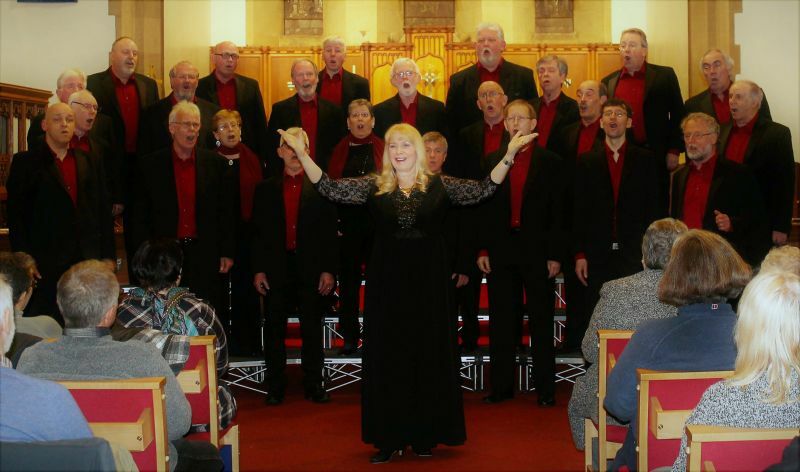 Compass Acapella will join forces with Tyneside A Cappella at Beamish Museum on Sunday the 20th of July 2019. The lunchtime concert will commence at 1.30pm in the Masonic Hall in the town centre. The chorus will be singing as guests of Tyneside A Cappella to raise funds for Maqcmillan Nurses in a concert to be held in St Paul's Church, Ryhope Road South, Sunderland, SR2 0HH. The joint concert will start at 7.30pm. The choir will be performing at St John's Church, Church Road, Sheriff Hill, Gateshead, NE9 5RD. This is a new venue for the choir and special guests for the evening will be Tyneside A Cappella. The concert will start at 7.30pm. Tyneside A Cappella has invited the chorus to perform as guest artists in concert at St Edwards Church, Coquet Avenue, Whitley Bay, NE26 1EE, on the 19th of October 2019. The concert will start at 7.30pm.